Retain visual animations of PowerPoint. Retain audio effects of PowerPoint. 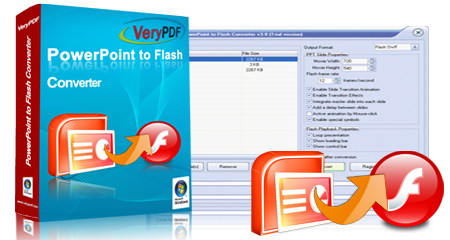 Download and buy PowerPoint to Flash Converter and PowerPoint Converter here.